Successfully Added GPS Tracker - for Cars, Motorcycle, Trucks, Scooters to your Shopping Cart. Introducing the newest GPS Car Tracker for global vehicle tracking. This is one of the best car/motorcycle theft prevention and vehicle protection system available today. With convenient SMS ability and the latest GPS tracking technology, this is the ultimate safety device for your car, van, truck, motorcycle or even a mobile scooter. So how does this Global GPS Tracker work? While consuming minimum power from automotive battery, it continuously reads its own location from low orbiting global satellites and then utilizes the GSM infrastructure operated by your cellular network provider to transmit its current location to you. 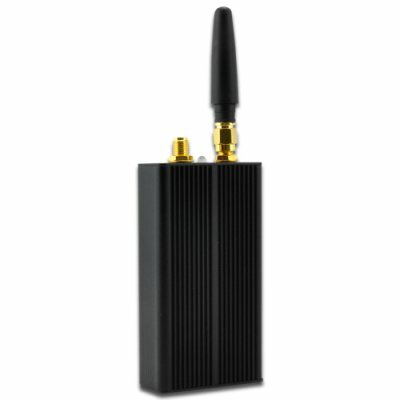 The internal is built with the newest Japanese JRC GPS module, which provides high stability and ultra-sensitivity, it even comes with Quad-band Connectivity to work anywhere in the world. The GPS Car Tracker should be installed in a safe place either on the body of a motorcycle/scooter or inside a vehicle, at a place where it normally cannot be seen (for example, under the car seat). You also need to place a working SIM card inside the unit to be able to communicate with your cellphone in any of its quad-band frequency. All functions are controlled by sending SMS TXT to the GPS unit. For example, TXT "666" plus your password to the tracker, and it will reply with it current longitude and latitude position, as well as speed and direction, etc. There are more advanced functions such as setting up a Geo-Fense zone and phone number authorization. You can even save the command as TXT templates to save time. This convenient GPS gadget is at our 100% wholesale price and in stock right now for single or bulk purchase, Whether you just buy one for your own lovely Porsche, or buy 10 to sell them in your Ebay storefront, with this price you cannot go wrong! Don't wait, click "add to cart" right now, and we will express ship it out to you tomorrow. Please check that the local cell network matches the GPS tracker's GSM standard. What are the four wires on the wire connector? The red and black wires are for positive and negative power supply respectively. The white and yellow wires have no uses.